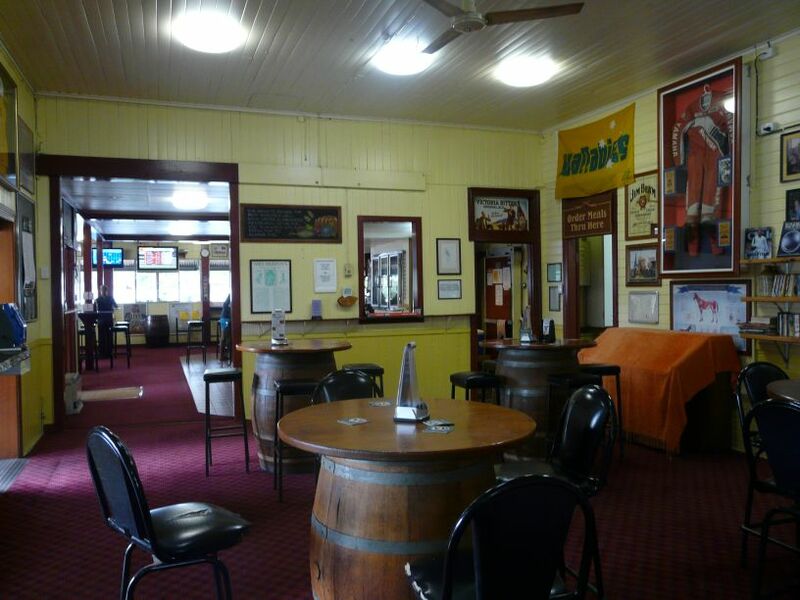 In many cases, pubs were the first structures built in colonised areas especially on the goldfields and new towns often grew up around them. Pubs typically served multiple functions, simultaneously serving as hostelry, post office, restaraunt, meeting place and sometimes even general store. Gympie’s Apollonian Hotel was built in 1879, closing in 1951. It languished, empty, until 1967, when the gold rush relic was sliced in four and moved to its new home at Boreen Point. 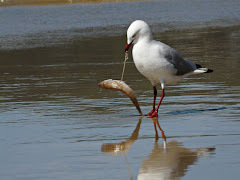 Joes Waterhole has always been a Family Hotel and still provides family entertainment. 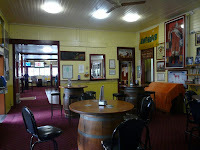 Built originally in 1891, the Pub is full of old photo's and history. The 96 year old Palmwoods Hotel underwent a $4 million plus renovation that commenced in late 2003 and was completed in March 2006. 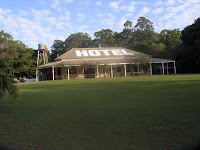 This is a beautifuly renovated old hotel on the Sunshine Coast. There is plenty going on inside this icon.I found the library a unique concept mainly targeting sports and biographies with plenty of sporting memorabilia on the walls. 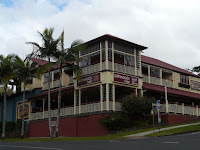 This Sydney hotel is still operating and there are indications of claims to a history back to 1807 as an operating Hotel and has direct first fleet links however it was rebuilt next door. Construction of this historic hotel began in 1860. It was originally known as the "Travellers Rest". The first owner, Siacob Silberberg, migrated from Poland and his daughter Eva laid the first stone for the "Travellers Rest". 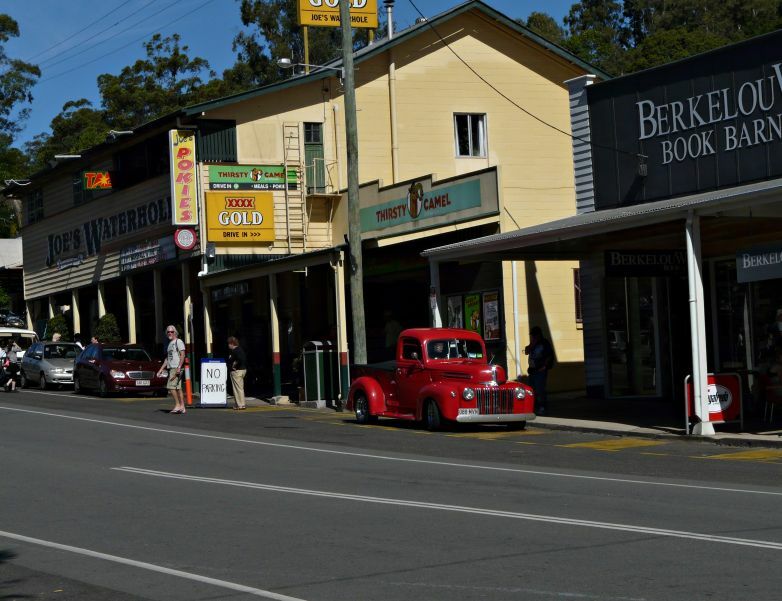 This hotel is the Oldest Hotel run by the same Family in Jugiong NSW. Since 1845 has been run and owned by the Sheahan Family. It is the oldest continually licensed Hotel operating on the same site and in the same building. (Building 1815, license 29/9/1825). 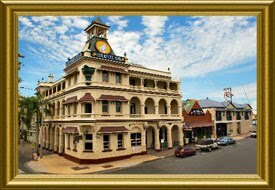 Growing up in Rockhampton I remember so many of the hotels which are still there today the most historical is the Criterion Hotel situated on the banks of the Fitzroy river. This iconic symbol and its famous cousin the 'Breaky Creek' in Brisbane was built in the same year 1889 with very similar architecture. 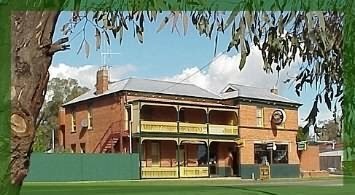 The most famous hotel is arguably the Glenrowan Hotel where the Ned Kelly Gang made their last stand. 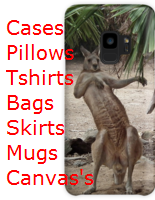 In 1880 they took over the Glenrowan hotel and took many of the town's residents hostage. They made armour of thick steel to protect themselves from police bullets. Unfortunately the heavy armour made them clumsy. Ned was eventually captured and his brother Dan died in a fire when the Glenrowan hotel was burnt down. 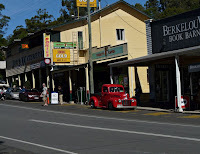 The hotel pictured is the old Railway Hotel but now called the Glenrowan. The Ned Kelly Gang also frequented this hotel before the showdown.